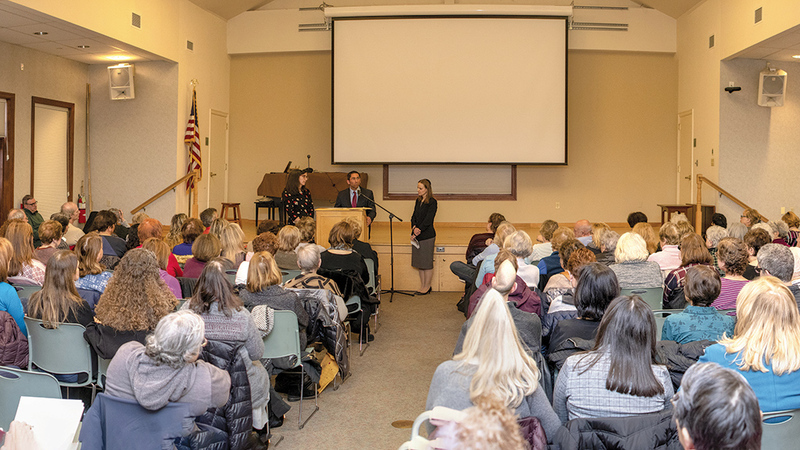 More than 130 people were the Ridgewood Public Library for a sold-out screening of the documentary “Brave Miss World” on March 10. The film is Israeli beauty queen Linor Abargil’s story as a victim of sexual assault, the power she harnessed in speaking out, and the experience she had renewing her faith in Judaism. An online audience discussion with Cecilia Peck of Los Angeles, the film’s director (and the daughter of Gregory Peck), followed. The screening was organized by the JCC of Northern New Jersey, in collaboration with five synagogues and three community organizations. “I was very proud of the role that we played in bringing together so many segments of our Jewish community whose collaboration made this important and timely event possible,” said Paula Cantor, a member of the JCC’s board. 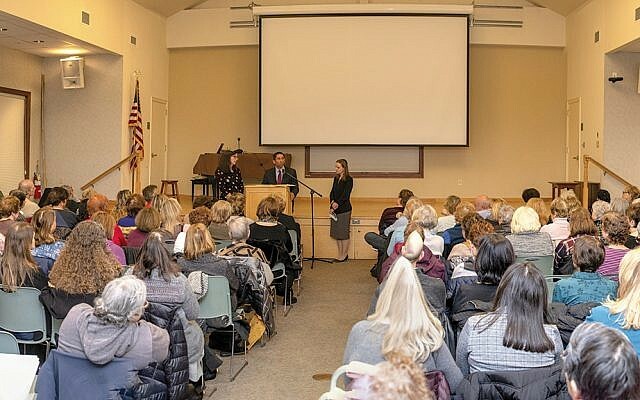 The Bergen County section of the National Council of Jewish Women, Jewish Family and Children’s Services of Northern New Jersey, and YWCA Bergen County’s healingSPACE were program partners. Rabbis Paul Jacobson of Temple Avodat Shalom, Jennifer Schlosberg of the Glen Rock Jewish Center, and Rachel Steiner of Barnert Temple gave the introductory remarks. Rabbis Loren Monosov of Temple Emanuel of the Pascack Valley and Ilana Schwartzman of Beth Haverim Shir Shalom also were instrumental in the program planning.